Next is a hypothetical modernisation of the Unryu class Aircraft carriers of the IJN in the late 1950's early 1960's, using elements from the IJN Unryu as a base, HMS Victorious's angled flight deck, USS Forrestal's guns and mostly the superstructure from the rebuilt Ticonderoga class carriers. Requested by a friend as a modified and slightly enlarged Deutschland style big gun cruiser with set armament calibres, dimensions, speed and armour. 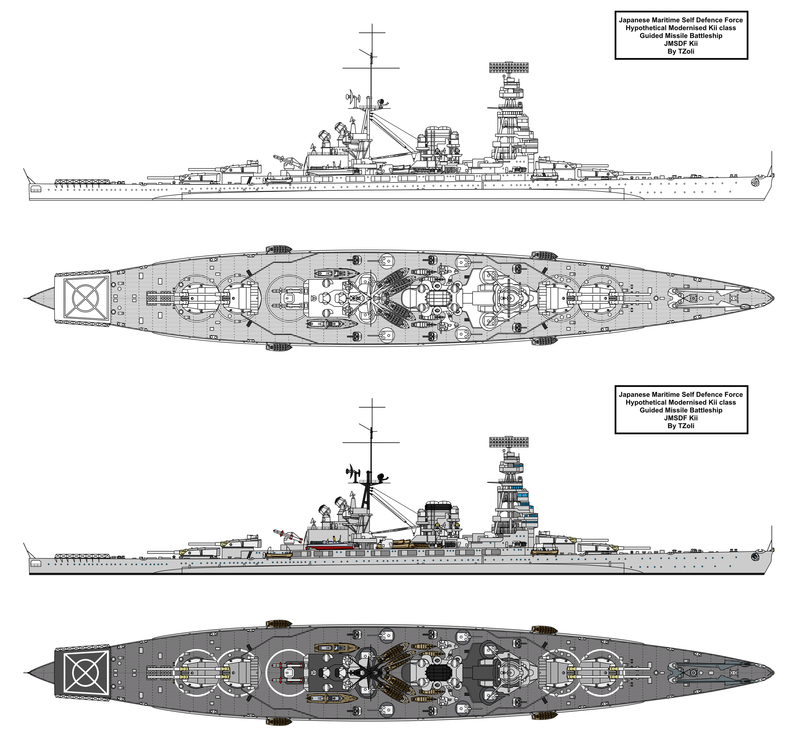 11.3" and 5.8" guns? Why the unusual calibers? Looks good. 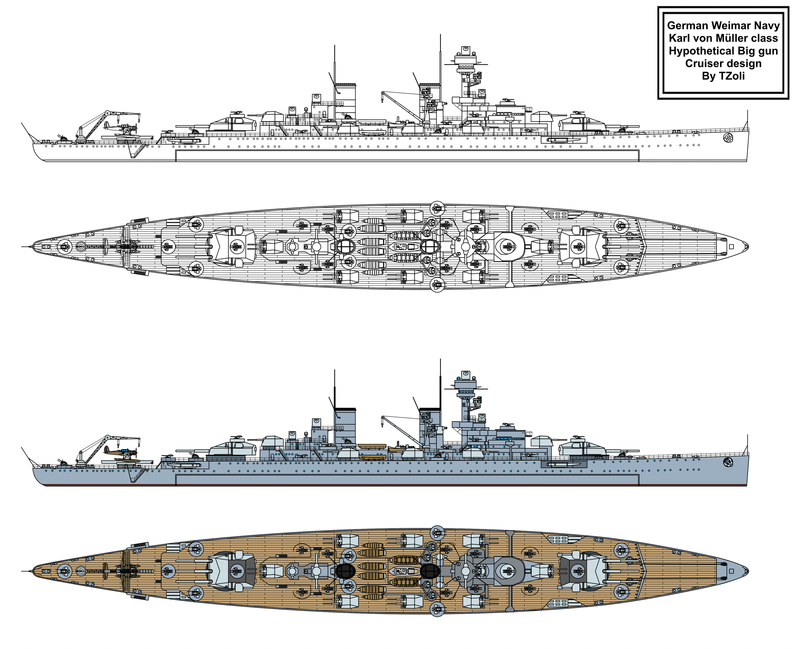 If you are ever in the need of more non-standard Deutschland Class ships, I've posted quite a few in my 'Fictional Warships' thread. Asked by a friend to draw a cold war era modernised Kii class battleship with missile launchers and such. Here is the product of never were warship's could had been modernization's hypothetical Guided Missile refit! I've replaced the 3rd 41cm twin turret with a twin RIM-8 Talos missile launcher with it's associated loading equipment. The should had been 12,7cm Type 89 DP-AA Guns were replaced by the 5" Mark 18 single gun turrets, all casemated 140mm and 25mm AA guns were removed and added British 40mm Bofors Mark V as well as various US radar systems.